The creation of a digital collection of the unpublished work of the first Scots Makar, Edwin Morgan, should have been easy. Morgan wanted his scrapbooks, correspondence and handwritten drafts of poems to be publicly available during his lifetime (1920-2010). 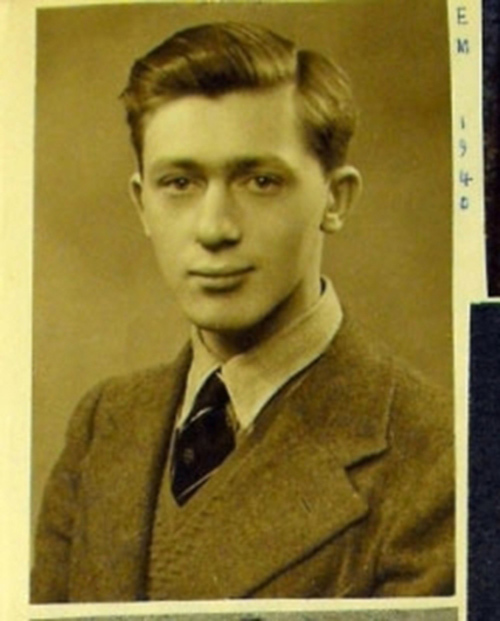 And since then, the Edwin Morgan estate and the University of Glasgow – he was a student and lecturer in the Department of English literature – have also tried valiantly to make his unpublished works accessible to the rest of the world. But today, a web resource is launched explaining the obstacles inherent in current copyright law which have made the digitisation of cultural heritage collections, such as Morgan’s, virtually impossible. The resource, found at www.digitisingmorgan.org, has been developed by Kerry Patterson, Project Officer for the “Digitising the Edwin Morgan Scrapbooks” project at the University of Glasgow, with Principal Investigator Professor Ronan Deazley from Queen’s University Belfast and Victoria Stobo, a PhD student at the University of Glasgow. This is the first major UK study examining the challenges – both legal and financial – in digitising cultural heritage collections, particularly those from the mid- to late 20th century in the current regulatory climate. The difficulties pertain particularly to what are described as “orphan” works – works that are still protected by copyright law but for which the owner or owners cannot be identified or located. In the collaborative project between CREATe (the Centre for Copyright and New Business Models in the Creative Economy – a national hub based at the University of Glasgow) and the University Library, Ms Patterson warns that current copyright regulations are “preventing the digitisation of cultural heritage collections”. There is currently a twin-track approach to the problem of “orphan” works in the UK: an exception which implements the EU Orphan Works Directive 2012 and the Orphan Works Licensing Scheme (OWLS). Both depend upon conducting a diligent search for every single orphan work that is to be digitised, regardless of the nature and scale of the project. The University of Glasgow project is the first major UK study to consider the concept of diligent search since the Directive and OWLS came into effect. Diligent search and mass digitisation are “fundamentally incompatible, however light-touch the nature of the diligent search obligation”, she concludes. As for the Edwin Morgan scrapbooks, they will, says Ms Patterson, “remain accessible only within the physical confines of the University Library building for the foreseeable future, apart from a selection of the pages that we digitised for this project”. “In this respect, they evidence the very real phenomenon of the so-called 20th century black hole. Because copyright status shapes selection processes regarding the digitisation of heritage materials, collections containing work from the mid- to late 20th century are less likely to be digitised for public consumption. In short, our digital historic record is skewed towards material created in the 19th and early 20th century, material that resides in the public domain”. CREATe is the Centre for Copyright and New Business Models in the Creative Economy, a national hub jointly funded by the AHRC (Arts & Humanities), EPSRC (Engineering & Physical Sciences) and ESRC (Economic & Social Sciences). CREATe is a pioneering interdisciplinary initiative, and globally the first effort to investigate the relationship between Creativity, Regulation, Enterprise and Technology (=CREATe) through the lens of copyright law. CREATe is a consortium of seven universities, led by the University of Glasgow.